Do you ever get those uncomfortable bumps after shaving that hurt and drive you crazy? You're not alone. Razor burn is a common occurrence for many people and causes painful irritation that can ruin your day. But the good news is there are ways to treat and even prevent razor burn! Read more to learn how to get rid of razor burn. Razor burn is a common skin irritation that may occur soon after shaving. It can appear on any part of the body — be it face, legs, arms, underarms, neck, or the bikini area. Some of the most common symptoms include redness, itchiness, stinging or burning sensation, red bumps, swelling, etc. One of the most common causes of razor burn is aggressive shaving. By being overly aggressive while shaving and pressing down too hard with the blade, we displace the surface-level skin, twisting the hair follicle in turn. This results in razor burn by the scraping action of the razor blade. Failing to prepare the area to be shaved in advance can lead to severe razor burn. Lack of pre-shave preparation may leave the skin rough and dry, leading to an abrasive shave. It's a good idea to soak your skin in warm water before you shave to soften the hair follicles on the area you are going to shave. Clearly, lubrication is the key to a smooth shave. Inadequate lubrication or lack of proper lathering may cause a lot of friction between the blade and the skin, requiring multiple strokes of shaving on the same area, resulting in a razor burn. Old razors often become dull, rusted, and brittle, making it difficult to cut the hair follicle in one stroke. Also, there may be dead skin cells or bacteria on old razors from nicks and cuts. They do not do a good job at giving a clean shave. Rather, they may give you razor burn or an infection. Sometimes all it takes is a bad angle to give you a razor burn, especially with cartridge razors. With cartridge razors, the entire surface of the razor makes contact with the skin, making it vulnerable to cuts and burns.  WHAT CAN YOU DO TO PREVENT RAZOR BURN? The first and foremost step in preventing razor burn is to use a new and sharp, fresh razor every two weeks. Or, after every five uses. The reason for this? As stated above, old and dull razor blades do not do a good job of cutting the hair from the follicle, leading to razor burn. Remembering to change your razor can be a hassle, which is one of the reasons it's such a game changer. When you sign up for 99 Cent Razor's Shave Club, your razors are delivered right to your door when you need them. It will ensure you're always shaving with a clean razor thats less likely to cause razor burn and skin irritation. Cleaning and exfoliating the skin, especially with salicylic acid, prepares skin for shaving by getting rid of the dead skin. It kills the bacteria on skin reducing the possibility of a razor burn, and makes the hair growth more reachable to the razor blade. This gets the job done in one stroke! Dry shaving with just water is a sure shot way to get razor burn. To prevent it, use a good quality shaving gel for lubrication. Shaving gels are better than most shaving creams, as they protect the skin from the razor blade without clogging the pores. You want to be sure to use shaving cream or shave gel when shaving to let your razor glide across your skin. Check out the Cremo and Every Man Jack Shave Creams and Gels we have at 99 Cent Razor! Shave in the direction of hair growth using short, deliberate strokes. Because, doing it otherwise will increase the odds of ingrown hair and razor burn. Hence, to prevent razor burn, shave mindfully in the correct direction. Clean and disinfect the razor after every use. To get rid of the hair and product buildup from razor blades, rinse it thoroughly with water and dip it in rubbing alcohol after the final rinse. Applying aloe vera after shaving will help soothe the irritated skin and prevent razor burn. Allow it to set for 5 to 10 minutes before rinsing off with cold water and patting dry with a clean towel. Essential oils such as coconut oil, tea tree oil, peppermint oil, and lavender oil work like magic to soothe skin after shaving. They have anti-inflammatory, antiseptic, and antibacterial properties. Rub a few drops on freshly shaven skin to avoid razor burn. If you have sensitive skin and nothing else seems to be working, then you can rub some over-the-counter antibiotic ointment to the skin. This acts as a preventative measure to avoid razor burn altogether. A razor burn is caused by inadequate pre-shave preparation and lack of proper shaving technique, mostly. To prevent razor burn on a regular basis, one needs to prepare and pamper the skin for shaving, as shaving can be harsh and intruding, and dangerous if not done properly. The first and foremost measure to prevent razor burn is maintaining cleanliness and hygiene, along with using quality shaving products. For those interested in home-made prevention techniques and remedies: use common household products with healing properties like aloe vera, honey, oatmeal, green tea, and coconut oil. All in all, razor burn, however irritating and embarrassing, can be avoided with mindful shaving techniques and good shaving products. SHOP FOR THE RIGHT SHAVE FOR YOU!